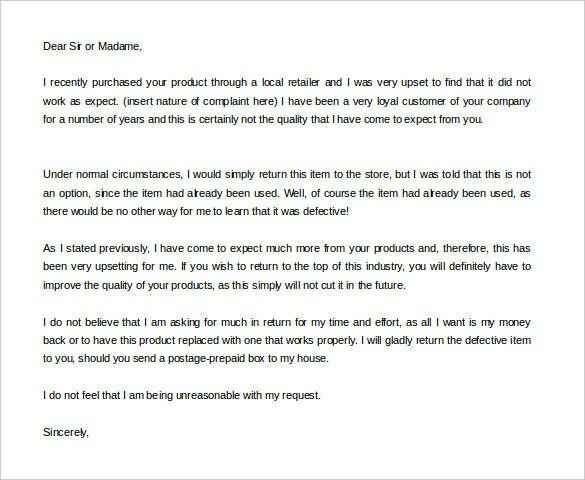 When you write this kind of letter, try your best to describe your problem and the outcome you want and ask for a response within a reasonable time. 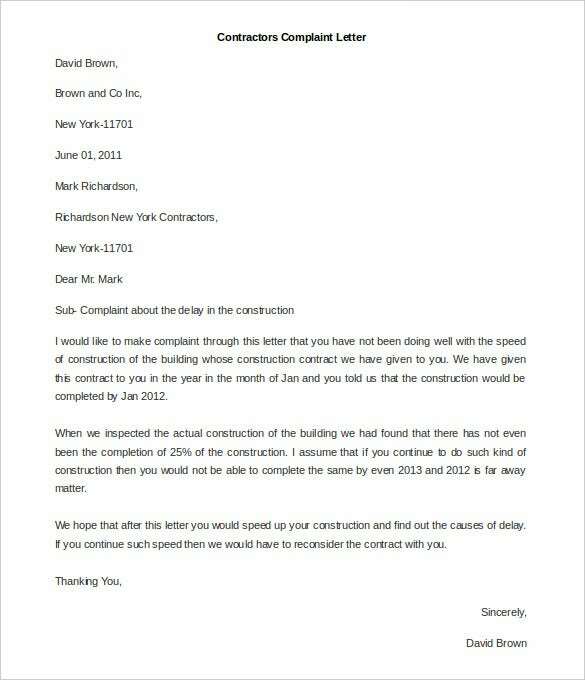 Important dates, such as when you purchased goods or hired services from the company or business must be included in the Reference Letter Template. 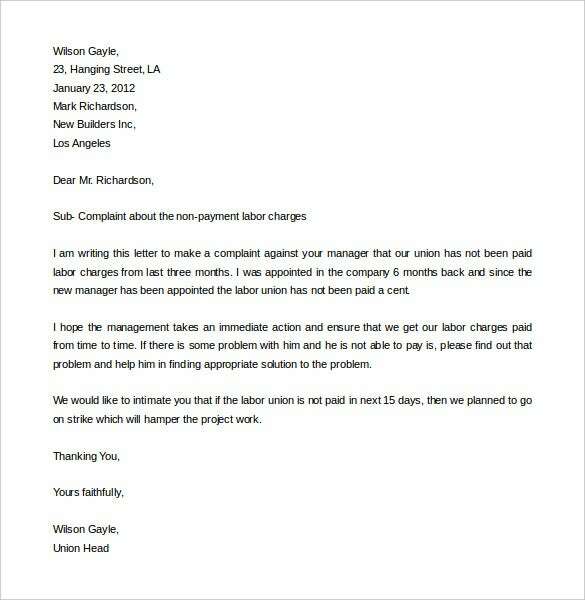 Feel free to attach any supporting documentations you have like receipts and invoices as this may help in solving the problem at hand. At the left-top section of the page, your name is to be inserted. Next you type in your home address in which you also should mention the street name and area of residence. 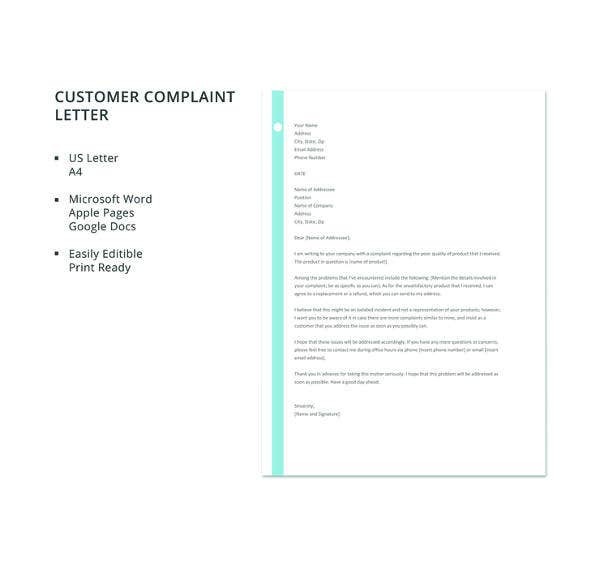 Next, input tour email address and telephone number (landline and cellular) in case communication is required to be initiated with the individual or organization to whom the complaint is being submitted. 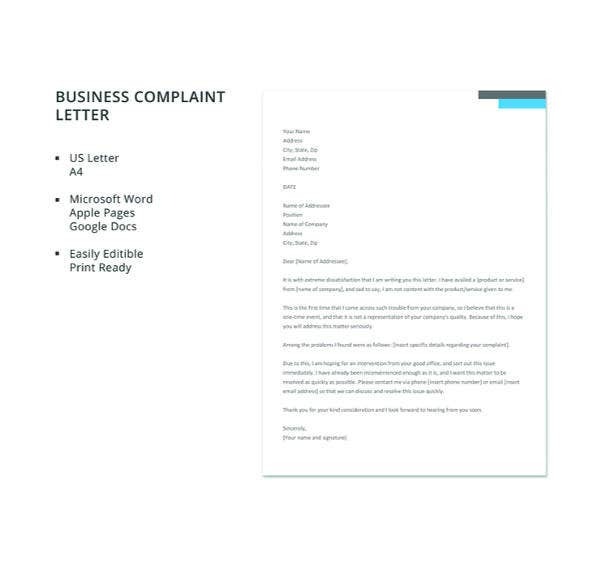 You may also see Business Complaint Letters. Write two words professional greeting to the person you are sending the letter templates to. 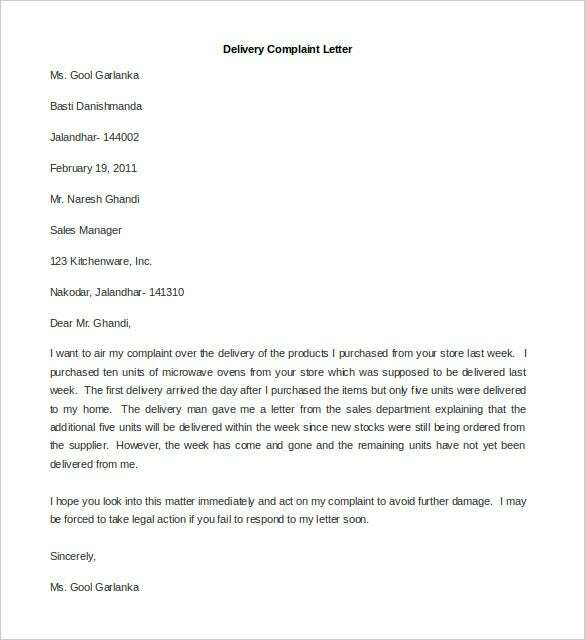 Now write your RE just below the “Dear Manager” greetings. 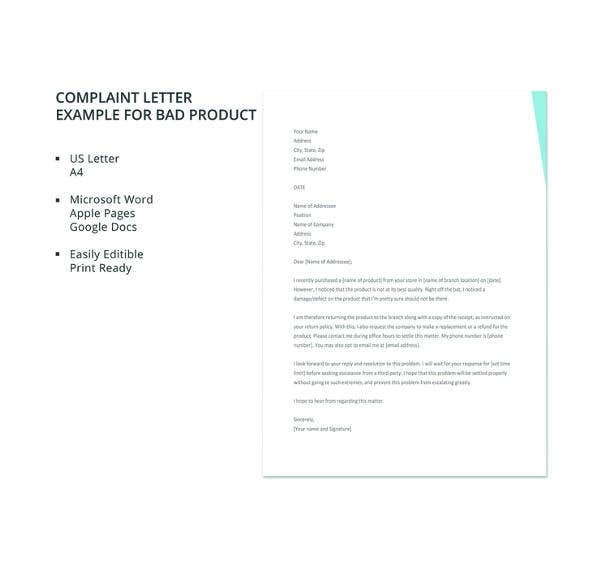 In the RE section, include the product or service you are complaining about, the name o the business and the date of the complaint. 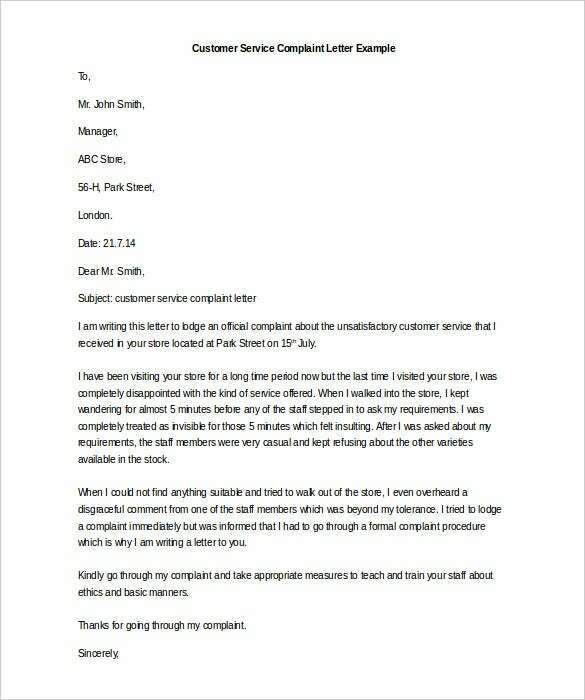 Complaint forms most generally take a rustic tone as the letter expresses dissatisfaction on behalf of the customers. 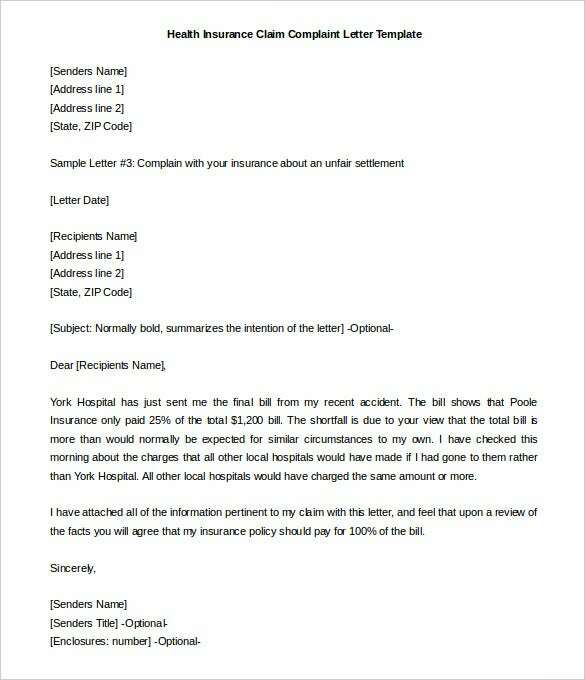 Health insurance claim complaint letter often takes a formal format informing them the difference between the claimed reclaim and the actual reimbursement provided by the insurance company. 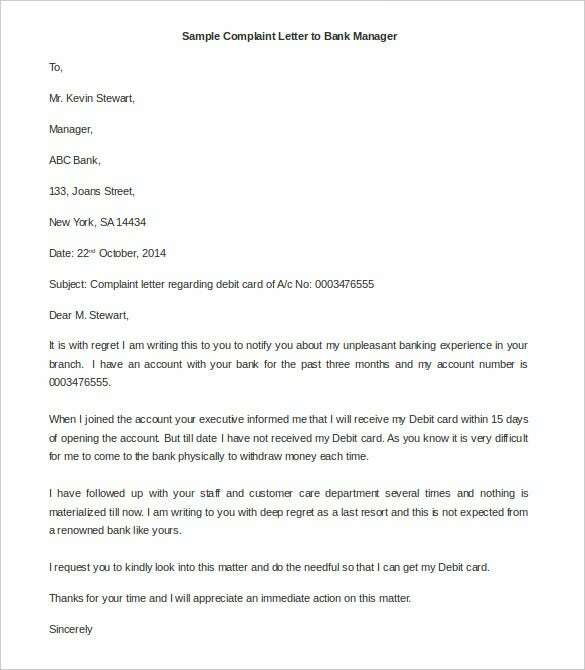 Such letters mostly include an attachment as well stating the promised terms and conditions. 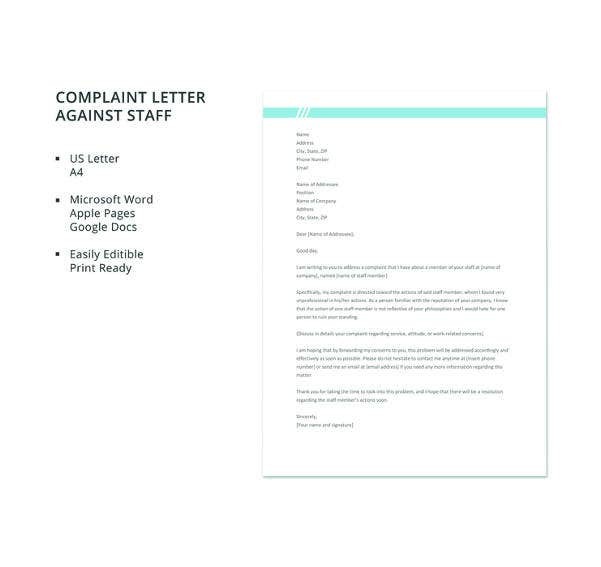 You may also see Employee Complaint Letter Templates. 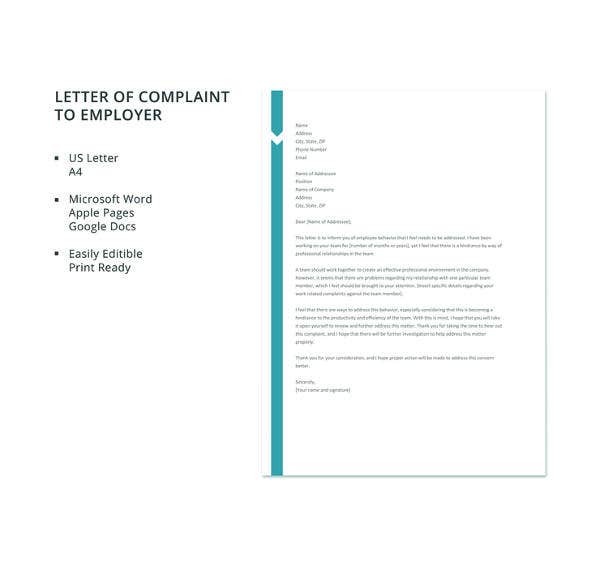 Complaint letter can also be used to communicate any disrespectful behavior on behalf of any other employee in the organization. 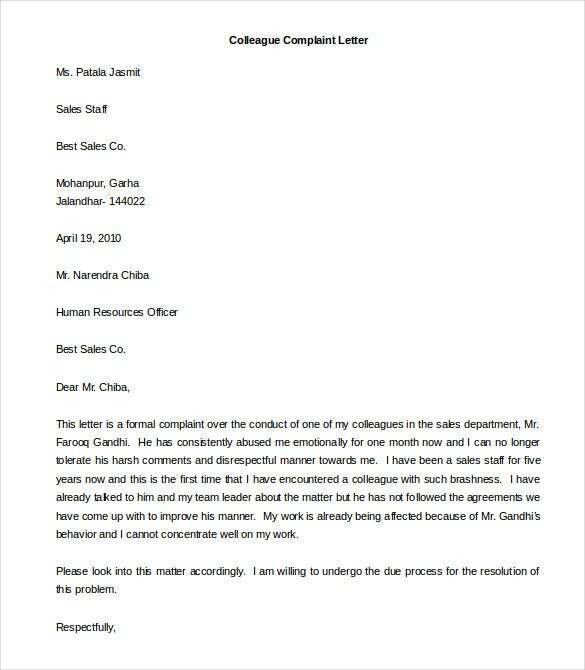 It is always advisable to mention instances or cite examples wherein any other employee may have misbehaved with the concerned person. These complaint letters are mostly directed towards the human resource team for their perusal and action. You may also see Word Complaint Letter Templates. 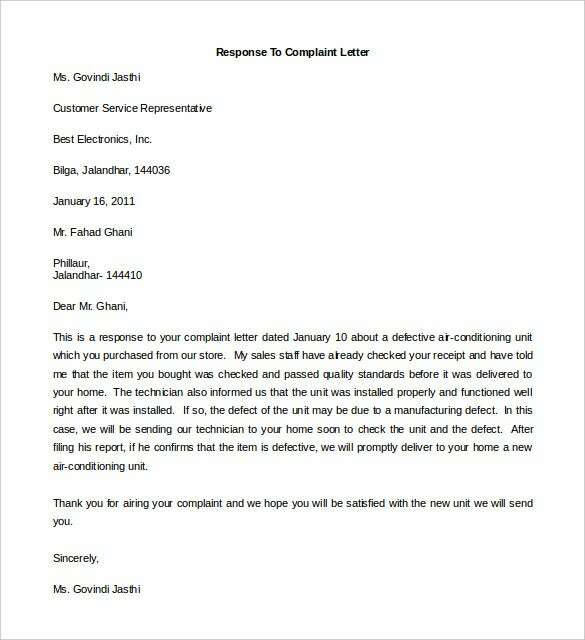 Most of the brands have their customer grievance team to which all defects and complaints can be addressed. 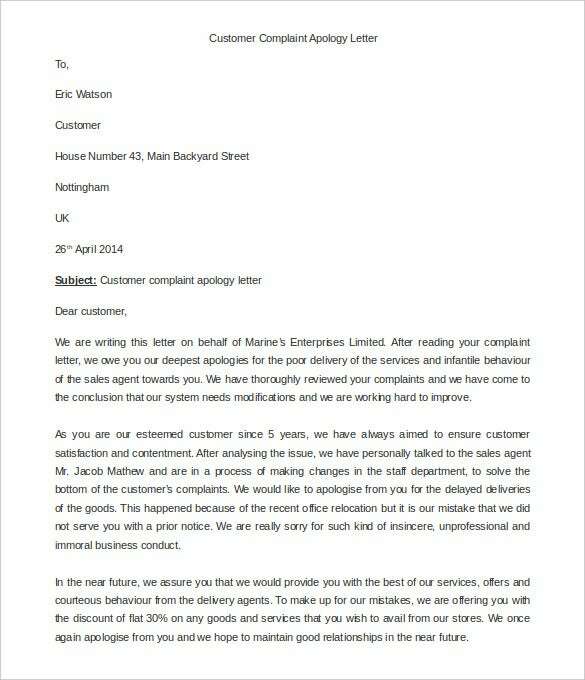 Complaint letter on malfunction of the product can be directed to the team mentioning the retailer from which the product was bought and other details such as the product id etc. and the defect which has been located in the product. You may also see Letter of Complaint Templates. 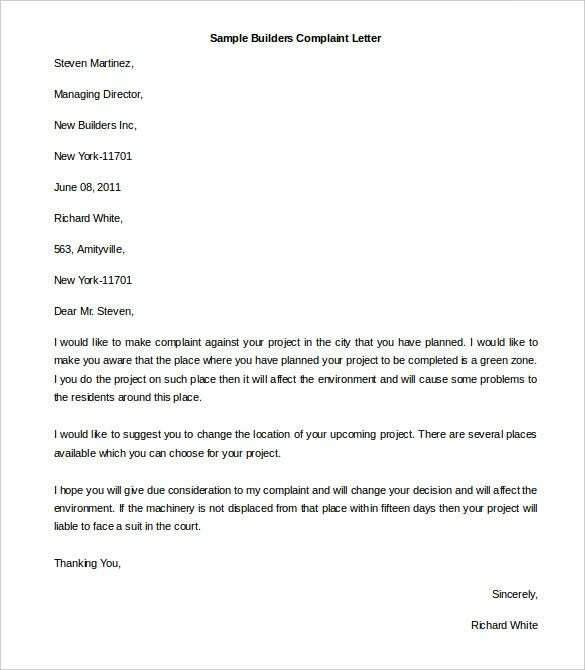 Companies’ complaint letter is mostly addressed to the proprietor or any other senior professional of the company for non-performance of any of the promises which they had assured or mentioned as per the contract agreed upon by both the parties. 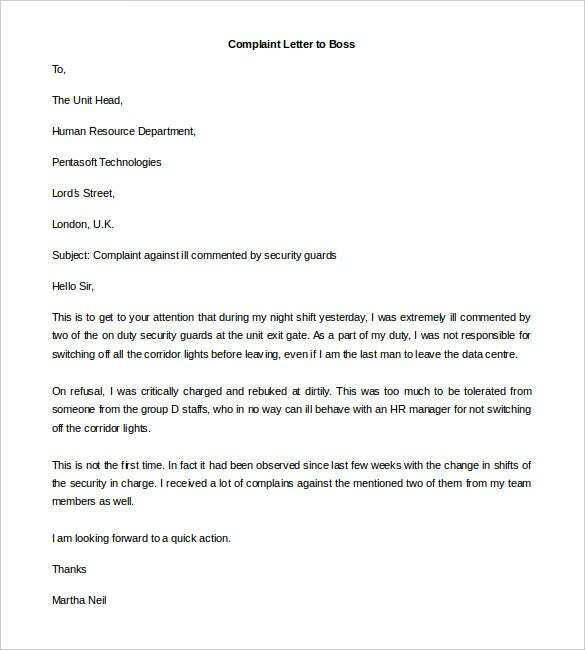 Such letters may contain a warning signal of not repeating such errors or even any disciplinary actions which would be taken against them. You may also see Customer Complaint Letter Templates. 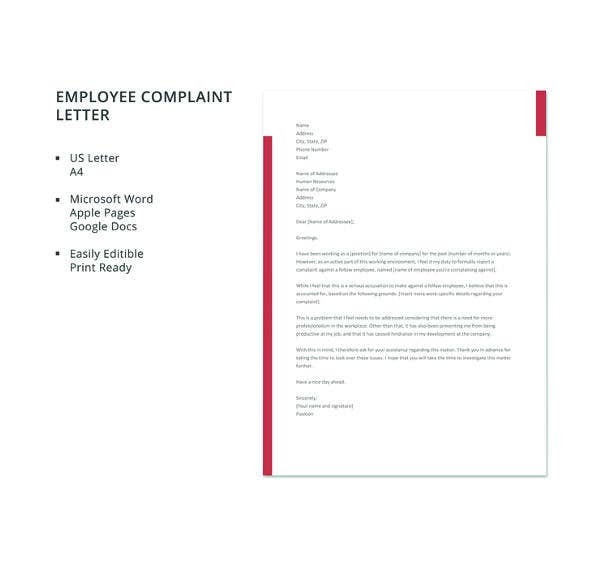 Labor complaint letters are mostly addressed to the top management directed towards managers not abiding by the required protocols which they should such as payment of labor charges, leaves etc. Such letters should highlight the actual rule (along with the section of the agreement) and the period from which the rule was not followed. 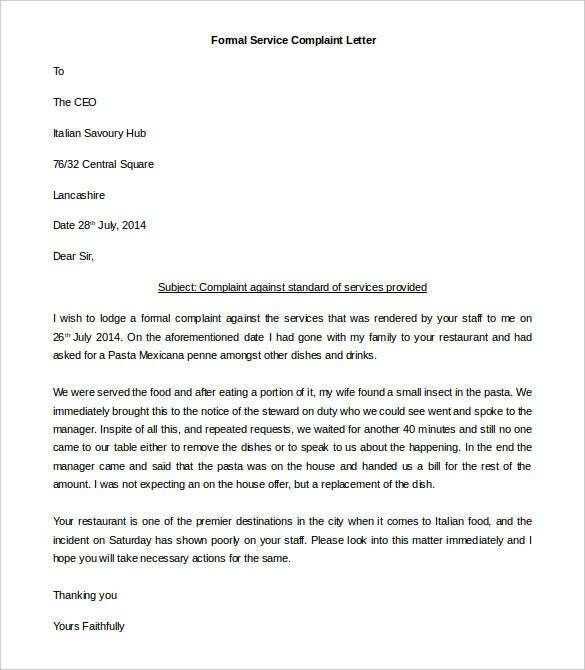 You may also see Complaint Letter Formats. 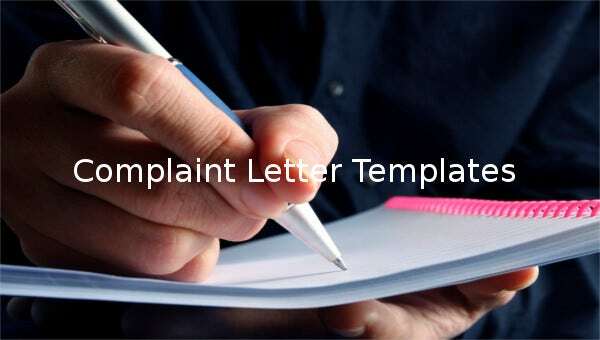 Complaint letters on ill treatment by colleagues or lower grade employees should be immediately directed to the unit head or other HR managers so that stringent actions can be taken against any employee not abiding by the rules and regulations of the organization. 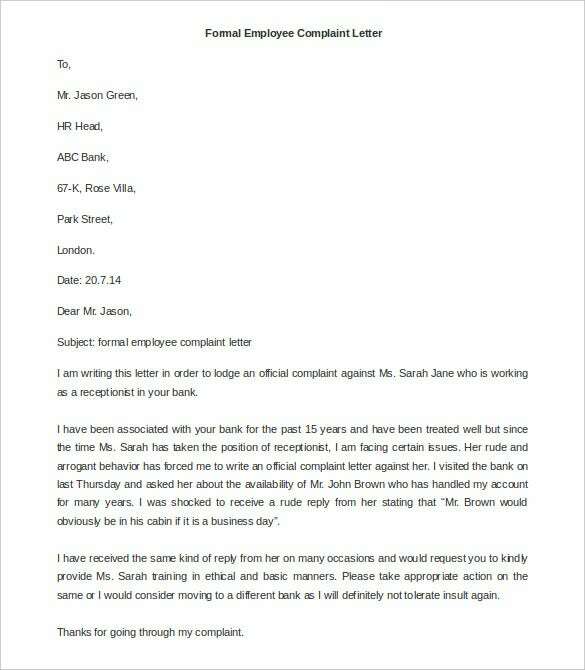 Such letters should contain specifics on the exact incident, date of occurrence and the defaulting employee who broke the rule. 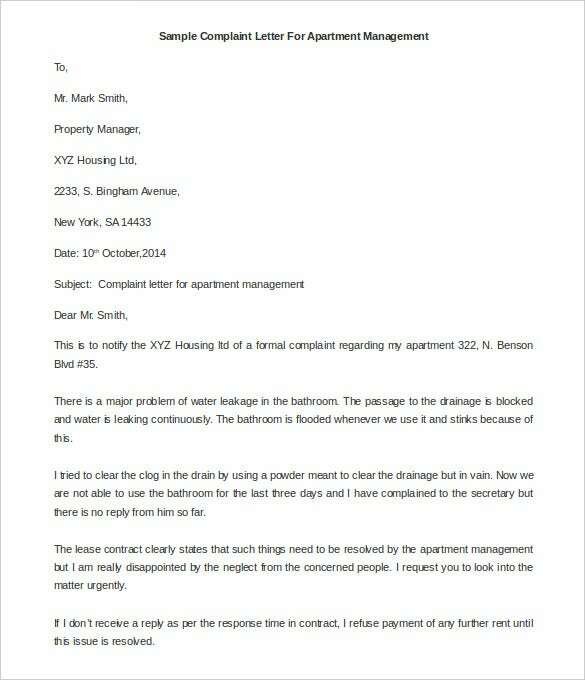 You may also see Tenant Complaint Letter. 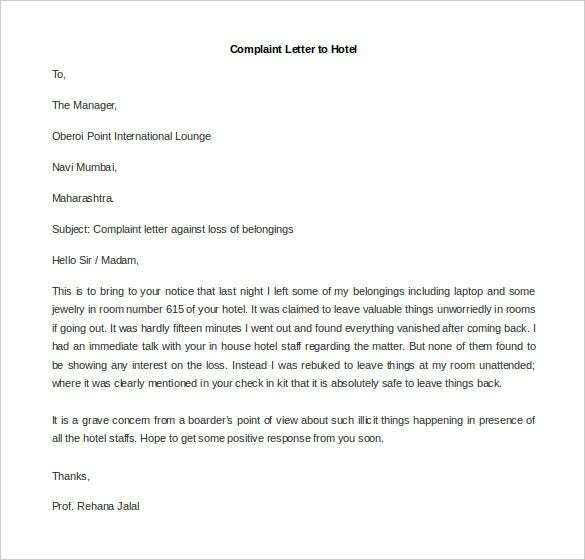 Now move to the article body and clearly describe your complaint. 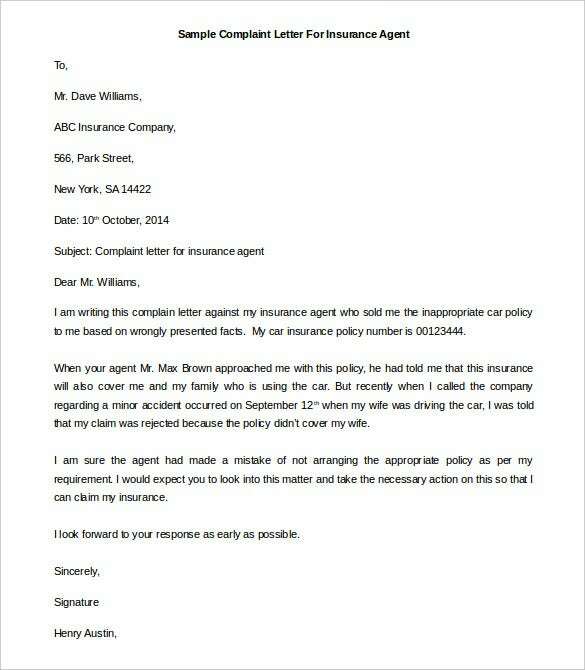 Write in paragraphs, make it short and be precise. Clearly, list the problem at hand and give suggested solutions or steps you would like the business to take to solve the problem at hand. 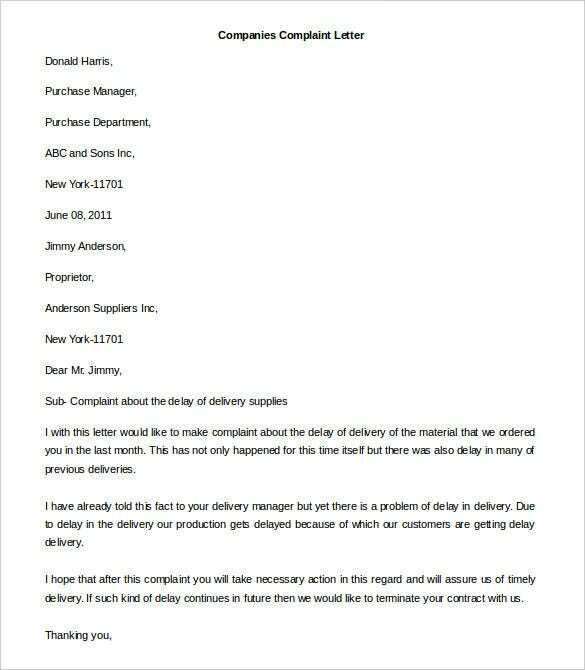 Close the sample letter by putting your sign and eventually your name at the bottom of the page.